Sonje is also AKC registered but a short haired GSD from Louisiana. 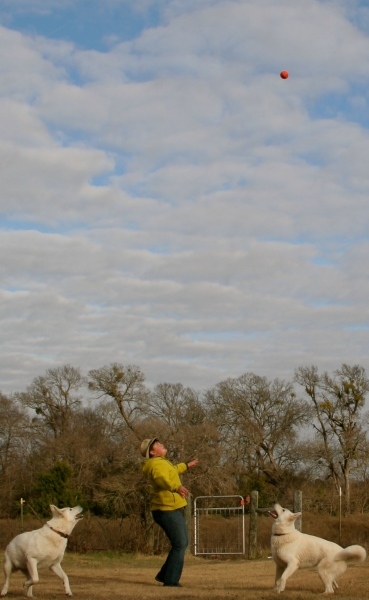 White Brazos Valley Shepherds is a family owned business located on a 17 acre farm in central Texas. 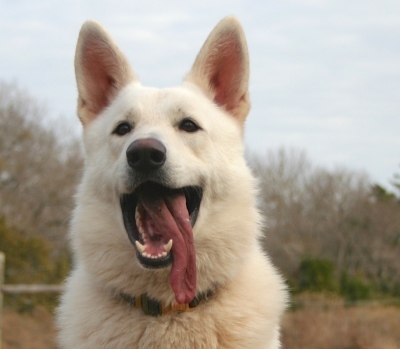 We raise white German Shepherds to provide healthy, intellegent dogs for families or singles who are looking for a companionable dog for themselves and/or their family, or people who have need of a service dog. 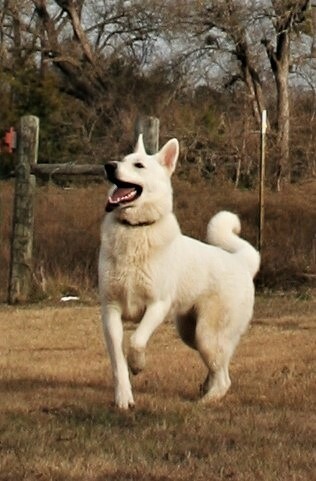 Like the standard german shepherds, white german shepherds are smart, eager to please and very courageous. 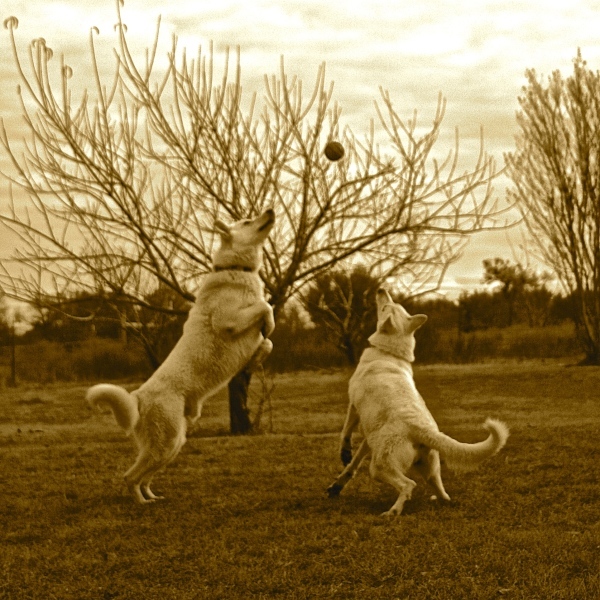 I have four teenagers who love playing ball and frizbee with them as well as taking them for runs.